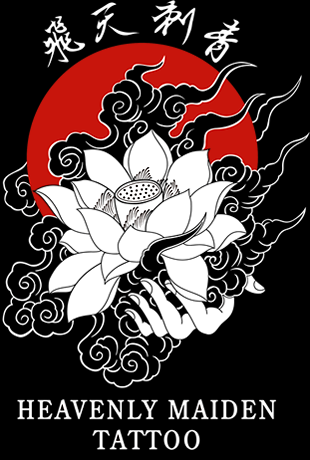 We, Heavenly Maiden Tattoo provide the real traditional Japanese tattoo. Not only Tattoo machine technique, but also the unique Tebori (hand poke) technique. For more details about the Tebori technique, please see here. 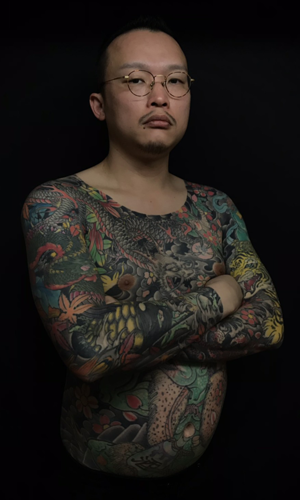 Decided to become a tattoo artist after having a “Heavenly Maiden” tattoo inked on his back by a traditional Japanese tattooist in Aichi Prefecture. He became the artist's disciple and trained for 7 years, during which he studied the Tebori technique and drawing skills.. Became independent and moved to Okinawa Prefecture. 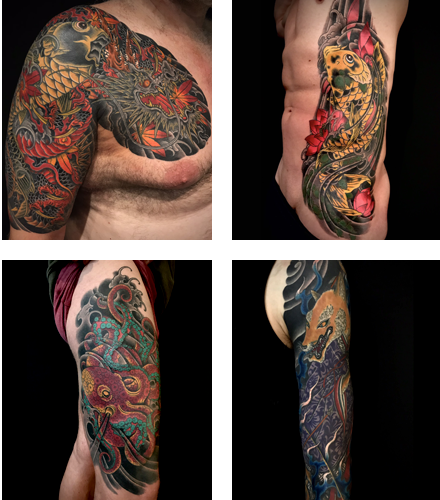 Worked for 5 years as a tattoo artist. Opened "Heavenly Maiden Tattoo" in The Hague, Holland. May Participated in Amsterdam Tattoo Convention. May Participated in Tattoo Fest Napoli. Won first place in category of Best Big Tattoo. June Participated in Ink mania Tattoo convention(Belgium). November Participated in Amsterdam Tattoo Convention. Won second place in category of Best Sleeves Tattoo. Those who are under the age of 16 are not accepted at this studio. Please tell us in advance if you have any medical condition, infectious diseases etc. Those who use drugs will be refused. Please refrain from drinking alcohol starting one day before the appointment date. Take enough sleep the day before and please eat a solid meal on the day. Please feel free to contact us for any inquiries, consultation etc.